It felt electric when I walked down to my seat on Monday night for the highly anticipated, sold-out Inprint reading by Anthony Doerr. Winner of the 2015 Pulitzer Prize for All the Light We Cannot See, Doerr’s novel about war-ravaged France has been on the New York Times bestseller list for the better part of two years. 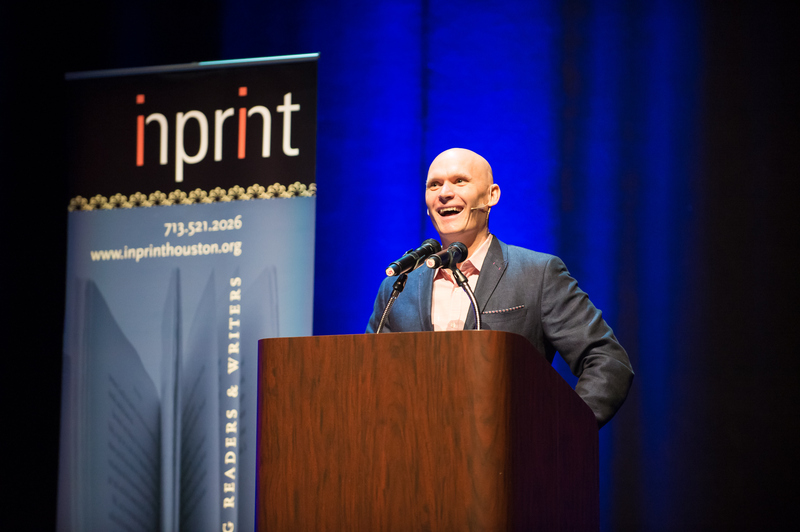 There was so much interest in his visit to H-town that, for the first time, Inprint, in collaboration with Houston Public Media, live-streamed the reading. In fact, tickets for Doerr’s event, part of the 2015-2016 Inprint Margarett Root Brown Reading Series, sold out in 90 minutes. According to St. John Flynn, Arts and Culture Director at Houston Public Media, more than a thousand people saw the reading online, and that number will rise, as it will soon be available on the Inprint website for those who still wish to partake.